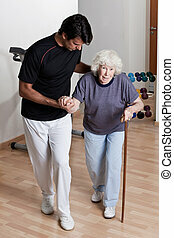 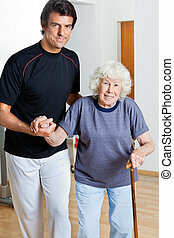 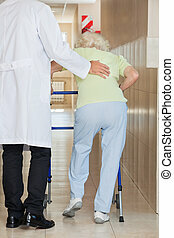 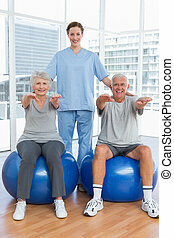 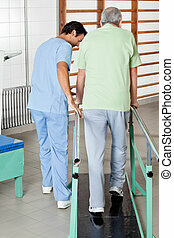 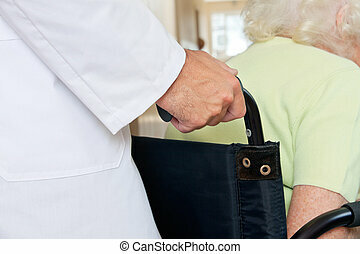 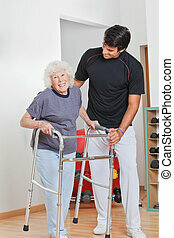 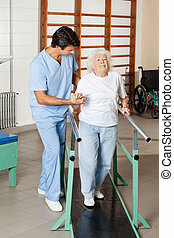 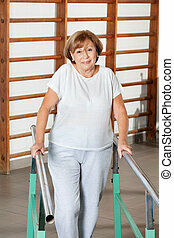 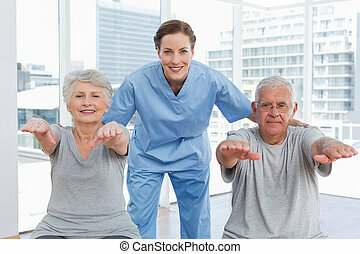 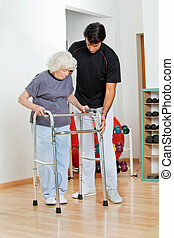 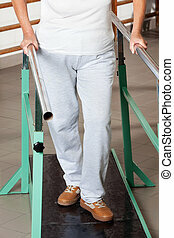 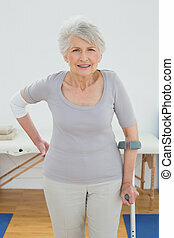 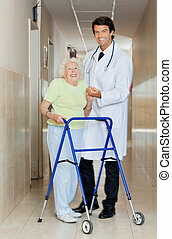 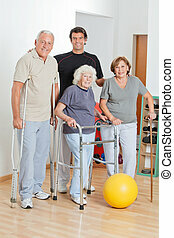 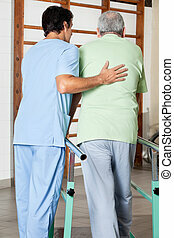 Portrait of a physical therapist assisting senior woman to walk with the support of bars at hospital gym. 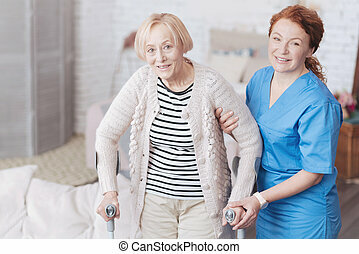 Help needed. 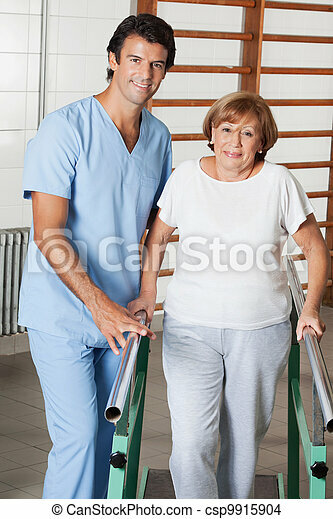 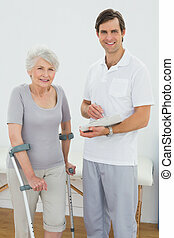 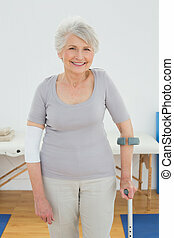 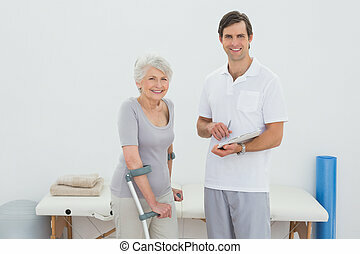 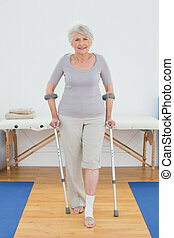 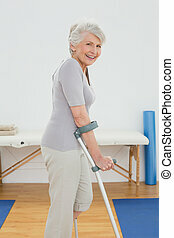 Smiling physical therapist looking into the camera while taking a positive senior lady by the arm and helping her to walk with a pair of crutches at home. 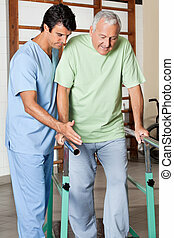 Therapist Helping Patient to walk with walking stick.